The Canadian BDS Coalition aims to celebrate this new majority by making it visible on the streets of Canada. We appeal to everyone seeing this message, to every working class and progressive organization, to demonstrate on Saturday, May 18 in solidarity with the above demands. Please plan street actions to occur in your city, in your community on Saturday May 18th. You may wish to initiate actions during the week of May 13th that marks 71 years since the Nakba took place in Palestine–that’s great! And please also undertake to organize powerful, visible manifestations of our national solidarity with the Palestinian people on the common target date, May 18th! Let us know that you endorse this Call to Action. Tell us what your group, coalition or campaign plans to do. We will post your local actions to our website, and share across social media. Please add your endorsement HERE. To enter your event please click HERE. Events will also appear on this page and on our FB page. By endorsing we ask you to promote the cross-country action as well as individual actions/events across the county as well as local in your community. You can use the following posters, customizing for your event/s. 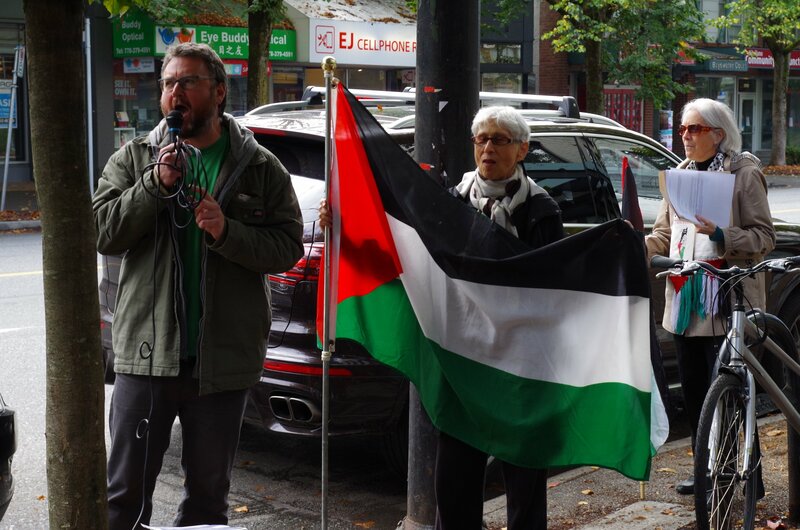 Events will be happening across Canada around Nakba71 (May 15), with day of action on May 18, 2019. This entry was posted in Uncategorized on March 16, 2019 by Karen Rodman. Four Canadian Financial Institutions, BMO, RBC, Scotiabank and Manulife have been listed on Bank Track as owning and managing shares in two Israeli Banks, Bank Leumi and Mizrahi Tefahot Bank. Both these Israeli banks are active in and profiting from Israeli settlements in the occupied Palestinian territories. Bank Track: Why this profile? Israeli banks are facilitating the expansion of the Israeli illegal settlements in several ways, including lending to construction projects in the settlements, providing banking services for settlements’ local authorities, operating branches in the settlements and providing mortgages for settlement homes and businesses. Many international banks also support Israeli banks, including their activities in the illegal settlements, for example through direct shareholdings, linking them to these impacts. Israeli settlements in the occupied Palestinian West Bank, including East Jerusalem, and in the occupied Syrian Golan Heights, are illegal under international law. This is widely recognised and has been confirmed by the International Court of Justice and the UN Security Council (e.g. see UN Office for the Coordination of Humanitarian Affairs, 2012). Through these settlements, Israel, the occupying state, violates numerous provisions of the Fourth Geneva Convention and other international humanitarian law (IHL): these are built and maintained primarily through unlawful appropriation of occupied land and natural resources and transfer of property rights, prohibited transfer of Israeli civilians into occupied territory, and arbitrary restriction of the freedom of movement and forcible transfer of the Palestinian and Syrian population. What Bank Track indicates should happen:Banks not operating in Israel but with shareholdings in or other exposure to Israeli banks lack the leverage to prevent or mitigate the adverse human rights impacts of business with the illegal Israeli settlements. They should therefore abstain from or end their relationships with Israeli banks, as well as other institutions and business linked to the illegal settlements. States should inform their businesses, including banks, about the risks involved in such business activities under international law, and about the consequences under domestic laws. Please be in touch with your own local branch of these financial institutions, and let us know by providing info HERE. The following letters have been sent by email and registered mail to Scotiabank, RBC, BMO and Manulife. We are writing to you about an important matter that has just come to our attention. A few days ago, we learned that Scotiabank owns and manages shares in two Israeli Banks, Bank Leumi and Mizrahi Tefahot Bank. Both these Israeli banks are active in and profiting from Israeli settlements in the occupied Palestinian territories. 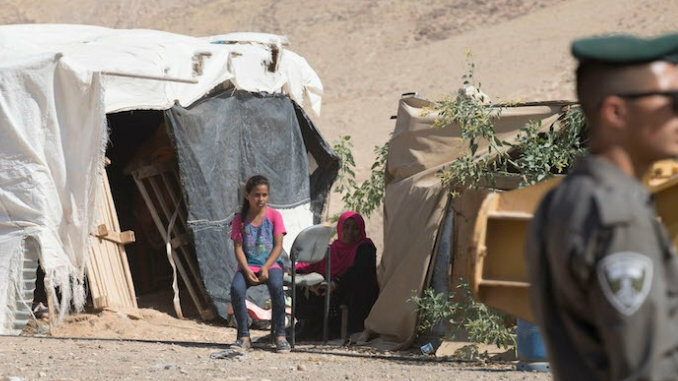 As the Canadian government has long acknowledged, Israel’s settlements in occupied Palestinian territories are a grave violation of the Fourth Geneva Convention, one of the pillars of international humanitarian law, and a serious obstacle to peace. We are deeply concerned by the oppression of the Palestinian people and with their struggle for self-determination. I am very troubled to learn that Scotiabank is profiting, albeit indirectly, from Israel’s war crimes against Palestinians. We ask you to provide further details to us about the nature and extent of Scotiabank’s investments in these Israeli banks and, in particular, to explain how these investments are consistent with international humanitarian law, and we would ask you announce publicly the withdrawal of Scotiabank’s funds related to illegal settlements. 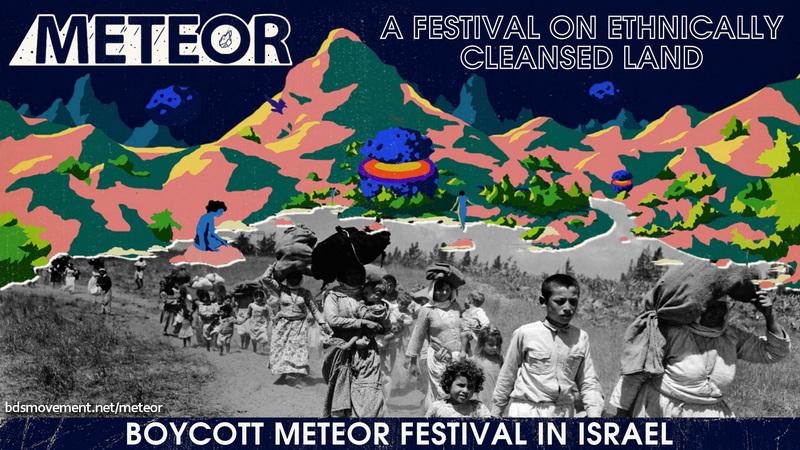 According to 2017 EKOS poll, 78 % of Canadians support boycotts when organizations are violating human rights and international law. We expect as a matter of conscience that if clear information is not provided along with a public statement made by Scotiabank related to its ending financial relations with illegal settlements, that many customers will re-evaluate their relationship with Scotiabank and may ultimately decide to take their business elsewhere. We are available to speak with you as well, and expect others will be following up with your organization over the coming weeks. re writing to you about an important matter that has just come to our attention. A few days ago, we learned that BMO owns and manages shares in two Israeli Banks, Bank Leumi and Mizrahi Tefahot Bank. Both these Israeli banks are active in and profiting from Israeli settlements in the occupied Palestinian territories. Israel’s West Bank settlements also constitute a war crime under the Rome Statute of the International Criminal Court. We are deeply concerned by the oppression of the Palestinian people and with their struggle for self-determination. I am very troubled to learn that BMO is profiting, albeit indirectly, from Israel’s war crimes against Palestinians. We ask you to provide further details to us about the nature and extent of BMO investments in these Israeli banks and, in particular, to explain how these investments are consistent with international humanitarian law, and we would ask you announce publicly the withdrawal CIBC’s of funds related to illegal settlements. According to 2017 EKOS poll, 78 % of Canadians support boycotts when organizations are violating human rights and international law. We expect as a matter of conscience that if clear information is not provided along with a public statement made by BMO related to its ending financial relations with illegal settlements, that may Customers will re-evaluate their relationship with BMO and may ultimately decide to take their business elsewhere. A few days ago, we learned that RBC owns and manages shares in two Israeli Banks, Bank Leumi and Mizrahi Tefahot Bank. Both these Israeli banks are active in and profiting from Israeli settlements in the occupied Palestinian territories. We are deeply concerned by the oppression of the Palestinian people and with their struggle for self-determination. I am very troubled to learn that RBC is profiting, albeit indirectly, from Israel’s war crimes against Palestinians. We ask you to provide further details to us about the nature and extent of RBC’s investments in these Israeli banks and, in particular, to explain how these investments are consistent with international humanitarian law, and we would ask you announce publicly the withdrawal RBC’s of funds related to illegal settlements. According to 2017 EKOS poll, 78 % of Canadians support boycotts when organizations are violating human rights and international law. We expect as a matter of conscience that if clear information is not provided along with a public statement made by RBC related to its ending financial relations with illegal settlements, that may customers will re-evaluate their relationship with RBC and may ultimately decide to take their business elsewhere. A few days ago, we learned that Manulife owns and manages shares in two Israeli Banks, Bank Leumi and Mizrahi Tefahot Bank. Both these Israeli banks are active in and profiting from Israeli settlements in the occupied Palestinian territories. We ask you to provide further details to us about the nature and extent of Manulife investments in these Israeli banks and, in particular, to explain how these investments are consistent with international humanitarian law, and we would ask you announce publicly the withdrawal Manulife’s funds related to illegal settlements. According to 2017 EKOS poll, 78 % of Canadians support boycotts when organizations are violating human rights and international law. We expect as a matter of conscience that if clear information is not provided along with a public statement made by Manulife related to its ending financial relations with illegal settlements, that many customers and companies/organizations will re-evaluate their relationship with Manulife nd may ultimately decide to take their business elsewhere. This entry was posted in Uncategorized on December 20, 2018 by cbcjpi. A Canadian Court ruled that Boycott, Divestment, Sanctions activists were denied free speech and campaigning rights when the city of Montreal tore down their posters highlighting an Israeli atrocity during an election campaign in Canada. We discuss the case with bruce Katz, one of the main plaintiffs in the case. 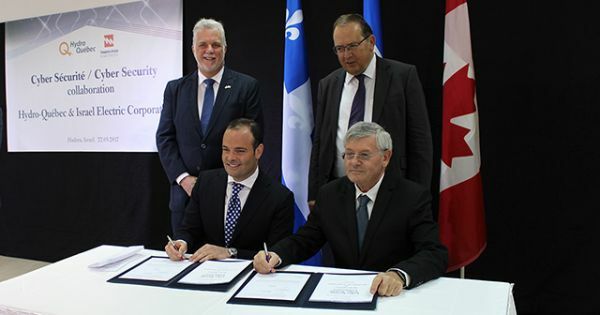 The Canadian BDS Coalition congratulates its Quebec BDS, a member of the Canadian BDS Coalition, on its important victory. This entry was posted in Uncategorized on December 13, 2018 by cbcjpi.